You wanted a double dose of boss kills? Well you got it! Tonight ET felled Beth’tiliac and Lord Rhyolith! 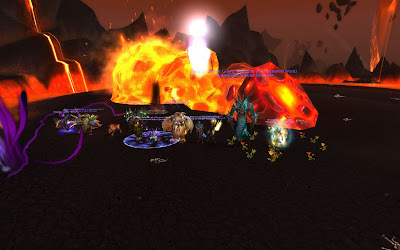 This moves us to 18th on server (10th horde side), and puts us back on the front page. Congratulations ET on becoming [4/7]. Scottro’s wonderful Report Page v3.2.1 is now out. I’ve also given him my own modifications to the project. Not sure if he will integrate them into the next release or not. There are a couple new reporting options since I first mentioned this mod here at tmib.net. He also has a Spanish version of 2.1 on his site. The complete change log is located at his page. Mere hours after our first kill, we got our second FL kill. It was Baleroc the annoy the healers. We of course forgot to take a picture. Congratulations ET on becoming [2/7]. 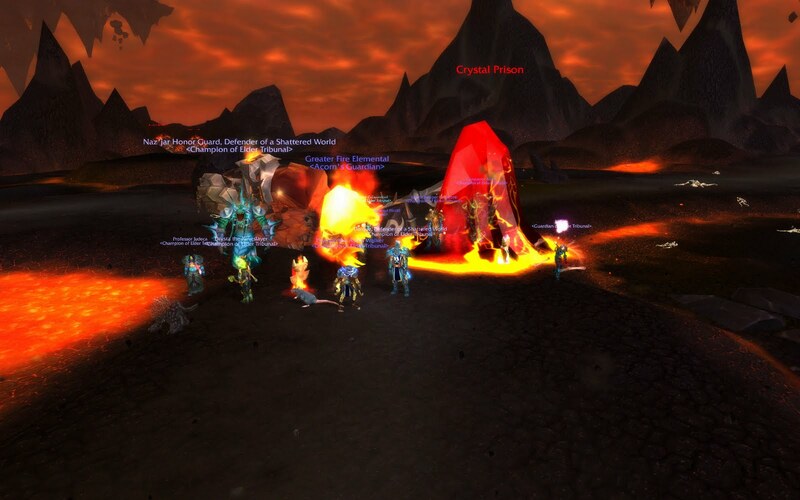 This killed moved us to the front page of wowprogress for our server, and was the 10th server kill of Baleroc. More kill shots coming soon! 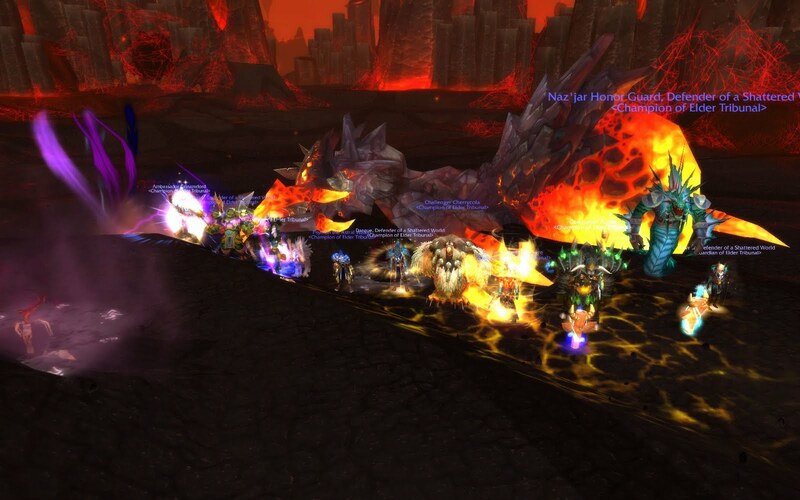 With 4.2 and Firelands out, its that time to work on new bosses and post about it when they die. In true (belated) fashion, ET’s first FL kill was Shannox the dog lover. We of course forgot to take a picture, so here is a picture of our second kill instead! Congratulations ET on becoming [1/7]. More belated kill shots coming soon!